CNN has announced more specific debate criteria, and it comes out to be extremely Biden-friendly. The requirement is for “an average of 1% in three polls, recognized by CNN, released between Aug. 1 and Oct. 10.” Under this criteria, Clinton, Sanders, O’Malley, Webb, and Chafee already qualify. Theoretically it means he could drive to the studio the night of the debate and say he plans to file the paperwork. More realistically, even if he keeps his decision quiet, I would think he would want to start practicing prior to the debate. I would also expect Biden to announce his campaign at least slightly prior to the debate in order to dominate a media cycle with the news of his candidacy. On the other hand, I am not at all surprised that there was no announcement the past week considering the major events occurring, including the visit of Pope Francis, the Chinese State Dinner, and the events at the United Nations. An NBC News/Wall Street Journal poll released Monday showed Clinton leading rival Bernie Sanders 53 percent to 38 percent, a significantly smaller lead than the 34-point advantage she had in July. But Biden’s entry to the race could present a significant blow to Clinton’s dominance over the field by siphoning off many of her supporters. 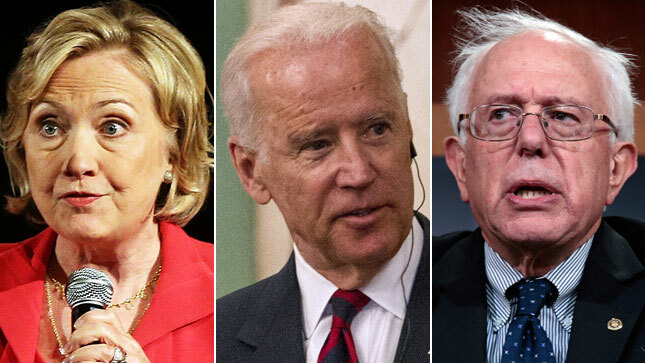 When Biden was listed as a potential candidate in the poll, her support against Sanders dropped to 42 percent compared to his 35 percent, while Biden took 17 percent. I wonder how much Biden’s support will change just by announcing his candidacy. If he doesn’t run, I wonder how many of his supporters could ultimately be picked up by Sanders. The remaining possibility is Lawrence Lessig, a frequent critic of Clinton’s ethics. Since my last post on him in August, he has formally announced his candidacy. He did reach one percent from Public Policy Polling, but CNN is not including this poll in their calculation. On his blog, Lessig says that other polls are not including him. A supporter has created a petition at MoveOn, but I don’t see how this will affect the debates. So, if a pollster happens to ask your opinion between now and October 10, consider claiming support for Lessig to help him get into the debate.